Home/Insects, Soybean/Be On The Lookout! 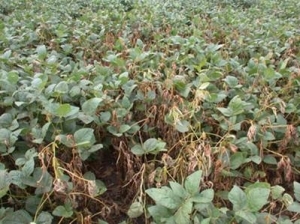 Nitrogen Deficiency is seen where inadequate nitrogen is used or the nitrogen is lost by leaching or denitrification. 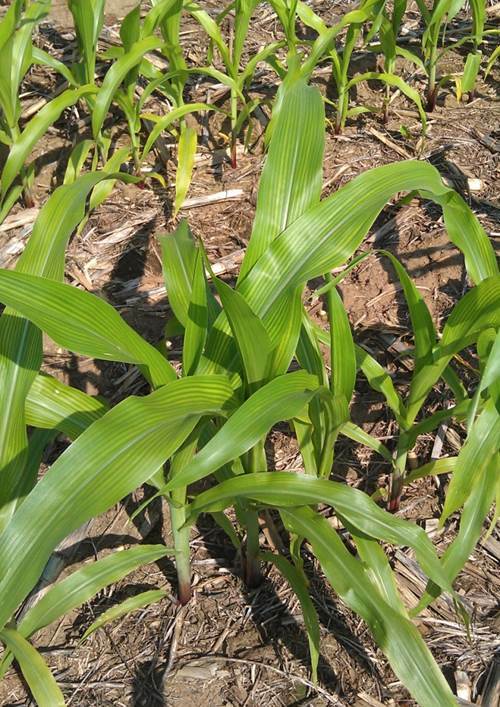 Evaluating nitrogen deficiency late in the season, it is important to note if the plant is still suffering from the deficiency. 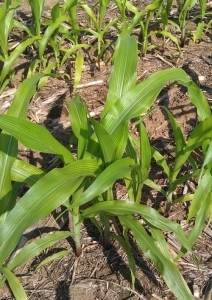 If the middle and upper canopy are bright green the deficiency was present earlier in the year but the plant is not currently deficient and adding nitrogen at this point would be of little value. Potassium Deficiency is most common in low potassium soils, sandy soils and compaction. 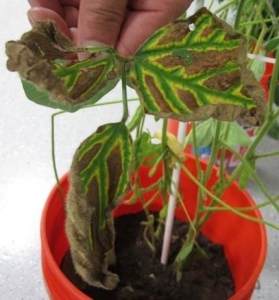 Firing from drought may mimic potassium: but with potassium the firing will be restricted to the lower leaves and will start along the outside edges of the leaf, unlike nitrogen deficiency that works it way up the center of the leaf. Sulfur deficiency symptoms in corn are stunted growth, delayed maturity, and a general yellowing of the foliage. In some cases an interveinal pattern appears, with the veins remaining green. 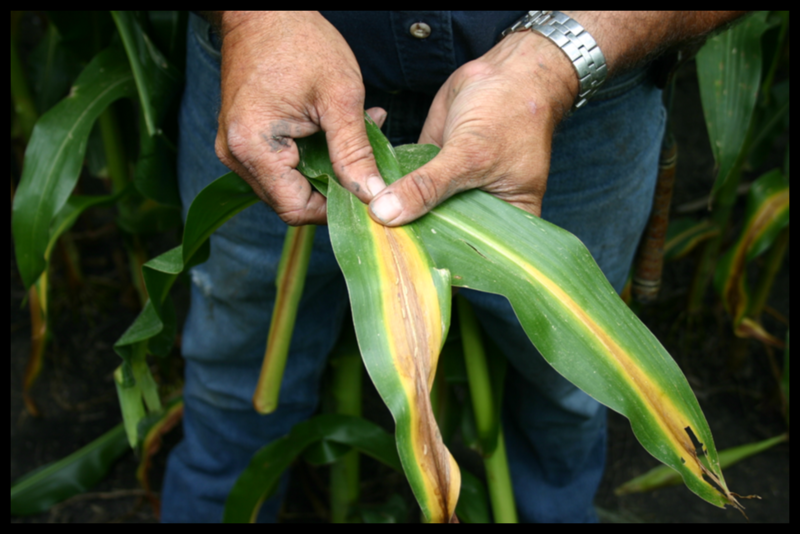 Sulfur deficiency is commonly found in acidic soils. White mold favorite cool and moist weather. The upper leaves will wilt and die due to the cottony mold that will appear on the leaves and stems. 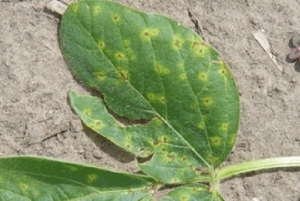 Bacterial Blight favors cool temperatures and high humidity. It can be identified by small angular water socked spots that will turn yellow and then brown as tissue dies. 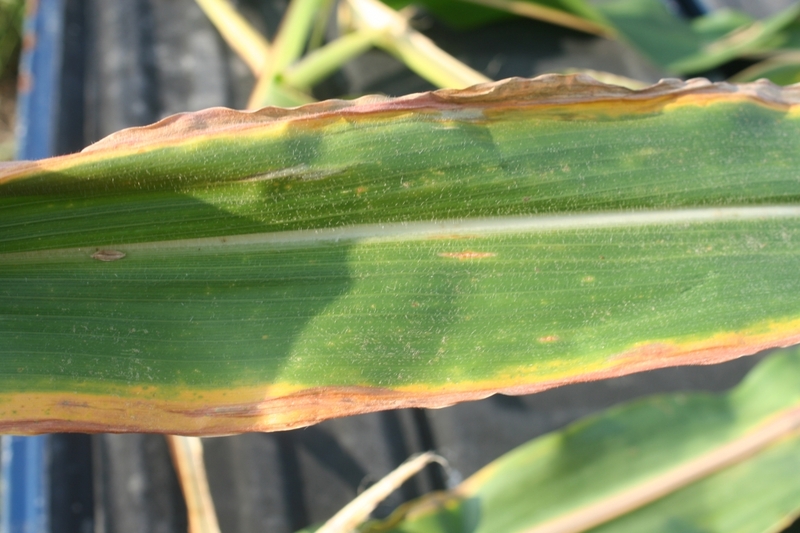 Bacterial blight is misdiagnosed with septoria brown spot. Septoria brown spot will show up at the bottom of the plant and work its way up, while bacterial blight will appear in the mid to upper portions of the plant. Sudden Death symptoms appear during periods of moderate and moist conditions; it also likes vigorous well fertilized plants. You will begin to see the interveinal leaf tissue becoming chlorotic and then necrotic. Leaflets drop off leaving petioles attached to the stem.